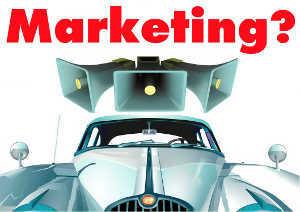 Email marketing is an important marketing instrument in order to generate new customers and higher revenue. In spite of it all, many companies have not sufficiently realized its potential yet. The list of reasons speaking in favour of professional email marketing is extensive. Thus experts assume that there will be five billion active email post-office boxes in 2018. And every single one of these recipients is a potential customer at the same time. Recent statistics have revealed even more! Email marketing is often seen as a superfluous advertising measure, which the recipient does not want to receive at all. However, professional and legal e-mail marketing has nothing to do with this. Professional email marketers are in demand at the express request of customers. Why does email marketing belong to the most effective marketing instruments? A current study carried out by artegic AG discovered that communication with a customer by email also serves simultaneously as an important source of information: 66 percent of the respondents use e-mail as means of communication with their customers and use the information gained from it. 93 percent of companies employ a CRM-system to gather customer data, 95 percent of those save the contact data, 76 percent the transaction data and 55 percent the data coming from direct communication. 63 percent concede that personalized emails have significant value – and this is exactly the large advantage of direct marketing by email. As such, companies can establish a dialogue with the customer, which – unlike other advertising instruments – can also be evaluated. 66 percent indicated that customer service e-mails should be used for advertising and 67 percent assume that mobile emails are becoming more and more important for sales. 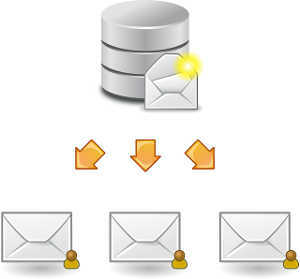 A large advantage of email marketing is its cost-efficiency. According to a study carried out by the information provider Experian, every invested euro is requited fourfold – no other advertising tool offers such an unbeatable Return On Investment (ROI). 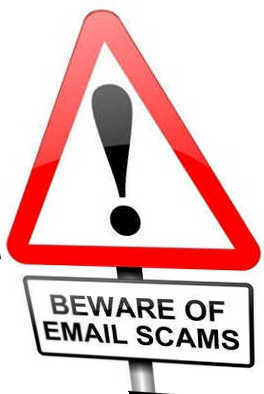 Hence the artegic study also reports that 60 percent of the investments in e-mail marketing increase and even eight percent rise significantly. A further advantage of marketing by email is the low costs for its execution. Statistically seen, sending one e-mail costs around 0.01 to 2 cents. On the other hand, advertising sent by regular mail costs an average of 40 cents per letter. Professionally-operated marketing means that all e-mail addressees are generated by the double opt-in process. Hence, every newsletter recipient must request the receipt of the commercial mail twice. If the addresses are obtained in this manner, then a relatively high success rate can be expected, since customer feedback to contacts gained by using opt-in processes is up to 50 times higher than by using the classic banner advertisement. Of course, selling is the greater objective of all promotional activities. According to a study performed by McKinsey, e-mail advertising is 40 times more efficient than marketing via social media. Another study by the American marketing experts Convince & Convert reveals that 44 percent of all newsletter recipients make a purchase. These positive findings do not only refer to pure online-business, but also shops can profit from this type of e-mail marketing as well and increase their selling at the POS (point of sale).